Just spending some days in Hong Kong? Wondering about things to do ? This is what I did, check it out, they are really touristy and at the same time essential. 5 things to do in Hong Kong for just a weekend stay. Getting around in Hong Kong to see these places is easy. Take a taxi, an Uber or jump on a bus. Since HK is not that big walking also works fine. These destinations listed here are a bit apart and requires some form of motorized transport. This is both a passenger ferry operation and a tourist attraction taking passengers across Victoria Harbour . The ferry have an estimated 70.000 passengers crossing every day. You are also able to take a harbor tour with the ferry and experience Hong Kong skyline from the sea. Both a day cruise and a night cruise can be recommended. Check out the ferry schedules and information here. 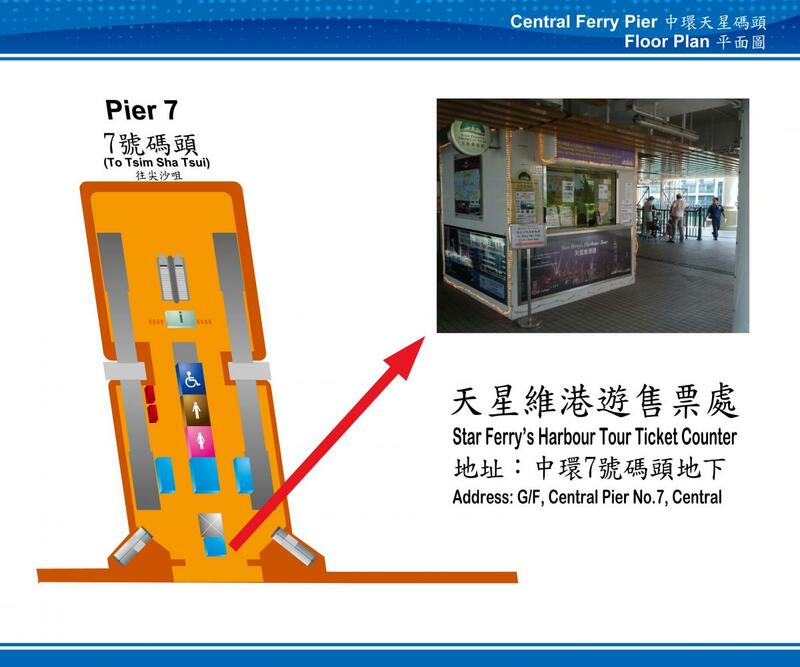 Ticket counter at Kowloon Point Pier. The Star Ferry, daytime in the fog crossing the harbor. Looking across Victoria Harbour from Central, the Star Ferry is also a nice way to see Hong Kong at night with all the lights. This takes you back to an other time. Benches are too cold in the winter and too hot in the summer, dress as you are outside. Central seen as we are crossing Victoria Harbor. 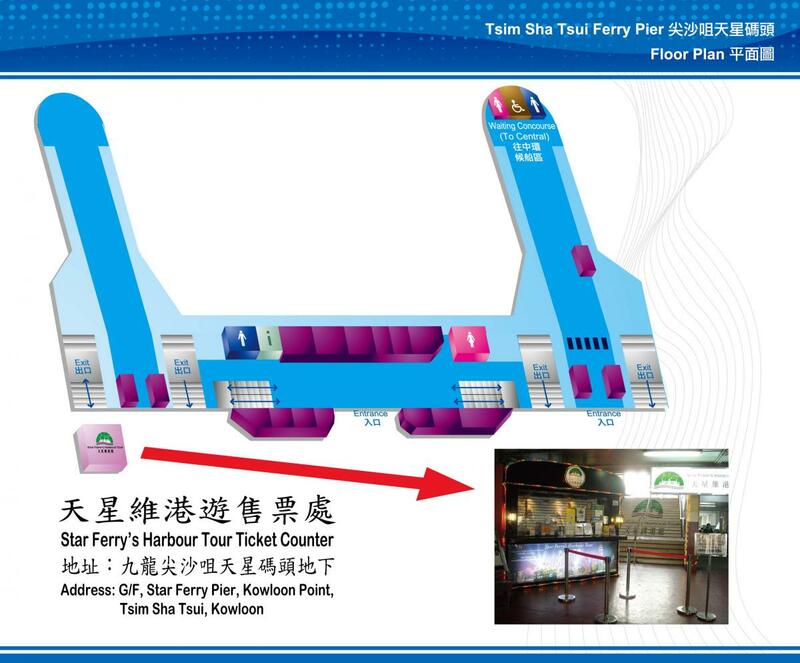 There are also other companies arranging harbor tours, check them out if you want more of a nautical view of HK. The venerable Peak Tram is, as most passengers agree, the only way to truly experience the beauty of Hong Kong’s natural wonders. Tens of millions of people from every corner of the globe have taken the ride, which affords a uniquely spectacular perspective of the city. From the star Ferry pier, Central, take a taxi to the Peak Tram station on Garden road. 7 am to 12 midnight (Mon – Sun & Public Holidays) and departs every 10 to 15 minutes. Tickets to the tram starts at HK$ 34 depending on single or return ticket. Ever since the opening in 1888, The Peak Tram has undergone various phases of modernization, evolving from coal-fired steam boilers to today’s microprocessor-controlled electric drive system. The Peak Tram, a double reversible funicular system, still runs on its original railway track but it has undergone a complete modernization program to upgrade its operating system and machinery. Today, the Peak Tram uses a microprocessor-controlled electric motor that automatically manages the tramcar speed, accelerating and braking accordingly at each of the tram stations. The steepest part of the route is 27 degrees to the horizontal. At the top of the Peak Tower you are getting an amazing view of Hong Kong. To access the Big Buddah take the Ngong Ping 360 aerial tramway from Lantau Island. The cable car takes you 5,7 km from Tung Chung Town Centre and Ngong Ping on Lantau Island. This is one of the top 10 cable car experiences in the world and a spectacular piece of engineering. Be ready for some steps up to the statue, 268 to be accurate. The eyes, lips, incline of the head and right hand, which is raised to deliver a blessing to all, combine to bring a humbling depth of character and dignity to the massive Buddha, which took 12 years to complete. Hong Kong is perhaps the best shopping place in the world. In Hong Kong, shopping is not only the act of buying things but is also a form of recreation and a way of life. The first thing you will see in Hong Kong are shops. It is impossible to walk far without ending in a shopping center. At Victoria peak, in the village next to the Buddah you will find a place to spend your money. Designer stores are located all over the city and the range of luxury goods available is like no other place on the planet. Bring your credit cards and have fun.